Actually, Margot wants to hear about your failures, too. Really, she wants to know everything you have to say about road trips. 1. 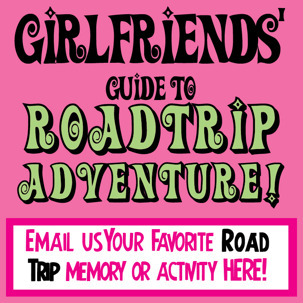 Your favorite road trip memory? 2. The worst thing that's happened to you on a road trip? 3. One tip for keeping expenses down? 4. Your favorite car game? 5. Grossest story involving bodily fluids? 6. One must-know safety tip? 7. The most interesting character you've met on a road trip? 8. Foods to pack or foods to avoid? 10. What non-DVD activity has entertained kids? 12. Best cheap or free souvenirs? 13. 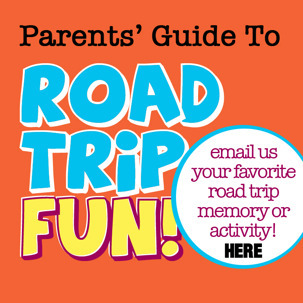 Any special family road trip traditions? 14. Is there a car-friendly craft y'all enjoy? 15. Best road tripping song/soundtrack?